And that’s how you close the gap on the purl side. Here are videos to help you out. 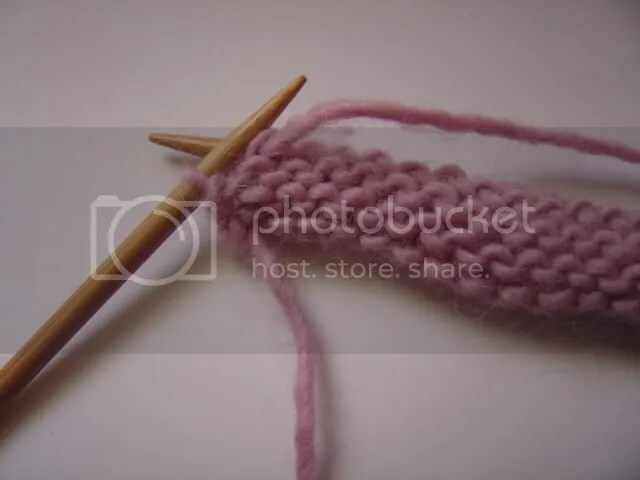 Keep going like that, Turning, slipping the first stich, knitting to the stitch before the gap, slipping it, picking up the bar, and knitting them together, until you’ve closed all the gaps. Viola! The easiest way to knit a short row heel. Any questions? Great tutorial. I’ve been trying different short row heels to see how to avoid the holes at the joins. I gotta try this one next. Thanks! I just cast on my first sock EVER. I’m going to be saving the link to this page! 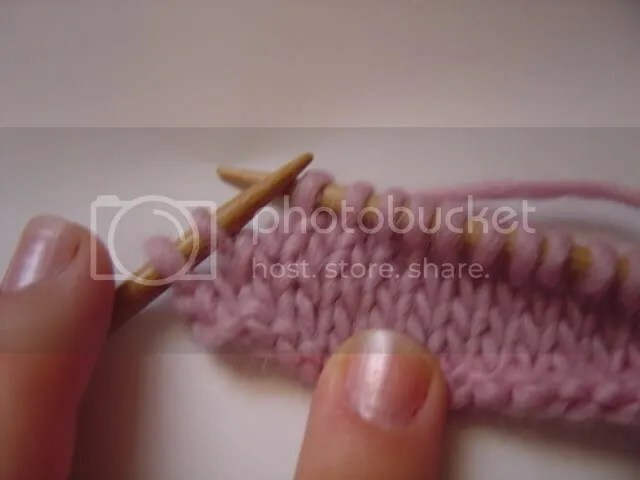 I think there was a tutorial fpre this method (which is the japanese method or something like that) in Nona Knits. The only difference is that she uses pins to keep track of what piece of yarn you should pick up, the bar, as you say. But it is pretty much the same. Easy! I think the wrap method was you-know-who’s attempt to make a difficult classs out of a simple project!. Great tutorial. I’m never see this method before, but I’m going to try it for my next pair! Wow, even I get this. I swear I have tried almost every tutorial out there on short row heels. I had just about given up on figuring it out when you were recommended to me by Ms. Lana! What a blessing this is…I’m so using this method on my next sock (while will probably be Thursday!). Thanks so much! Thanks kaity! This tutorial really helped me figure out the heel on socks. I was trying to help my roomie over the weekend on the heel part and neither one of us have done socks before. Glad you posted this. I’ll have to bookmark this page. I’ve been putting off learning a new method of knitting socks. Between your short rows and Roni’s socks on circulars, I’ll learn two new techniques! Finally I have found someone else that does short row toes and heels the same as I do. I have been doing them that way for the past 53 years (I can’t believe it has been that long !! !!). I started knitting socks when I was six while walking to and from school and my mom taught me to make the toes and heels the way you show. I have NEVER understood why ANYONE would ever wrap since it is so fiddly to mess with and time consuming. I short row until I have one third of the stitches in the center then start “closing the gaps” as you put it and it makes it less pointy. Today I cast on a pair of toddler socks (magic loop) & was trying to figure out a way to do the heel without wrapping at all & found this page… voila! this is kinda neat and it certainly takes the stress off my hair…which i used to pull about the 3 time of redoing a missed pair etc. this doesnt use tight pairs, wraps, yarn overs or all the other irritating stuff. i tried it, it works, its comfortable and best…its gap free. keep up the good work. p.s. I just adore the title of this blog. I tried single wraps … and got holes. Double wraps … too much bulk. I must be the only one having a problem with this. Short rowing down to 10 live stitches was no problem. But increasing, I keep knitting the same stitches over and over again. Help! Please! What am I doing wrong? Sure seems to leave a lot of big holes as well. Ugh. Ok, now this is something I can get down and dirty with. I’m knitting a pair of toe-up socks whose sole reason to exist (pun- ha) is for me to learn new techniques. And I want to do this technique. So thank you for such an excellent tutorial. BUT! I have a question. Does this kind of heel need to be preceded by a gusset, if I’m knitting toe-up? Can I just use 50% of my circumference stitches to make this heel? Any idea? Too bad Lion Brand doesn’t have this method written in its Child’s Striped Socks pattern 70277A. I wouldn’t be on this site if their pattern had this information. I have tried this several time and it is not working for me. I think the problem is in the slipping. 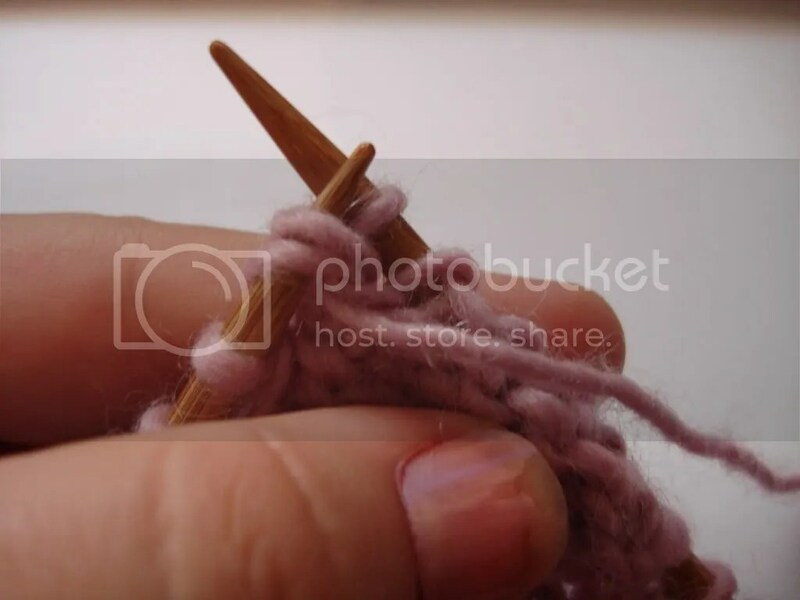 When do you slip as if to knit vs slip as if to purl? I tried this and it seemed to work really well! Thanks for posting this! It’s so much easier than all the wrapping business. The only question I have is this – for the 2nd half, are you supposed to end a few stitches earlier? Because my sock doesn’t narrow a bit above the heel like I expected it to. 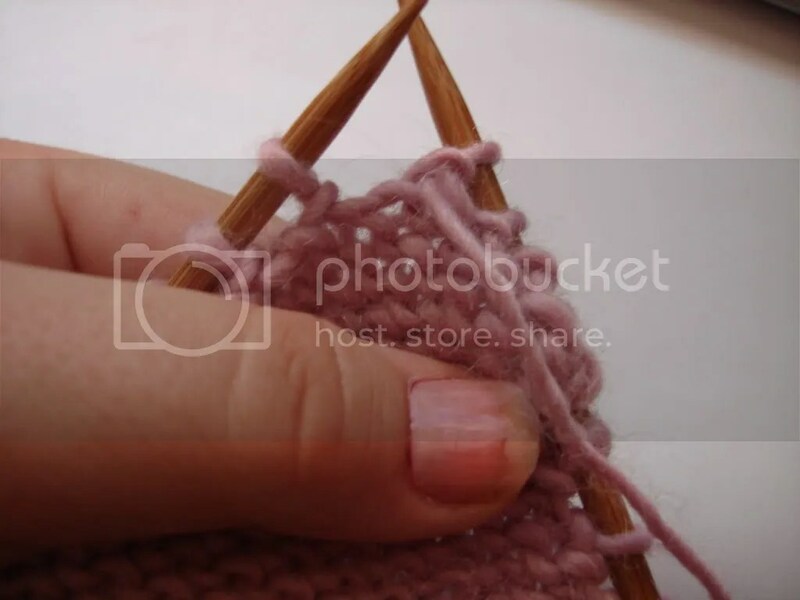 Just be sure that when you knit the pick up and the stitch and turn back that you slip that one. There should not be a hole if you do this. Thank you! You have saved me untold hours of pattern translation. I only had to frog my heels once using your instructions–I had some huge holes going on), but they’re done now! Can this short row metheod be done for a sleeve cap. Instead of binding off each side. I’m having similar trouble to several other posters above. I do fine until I start increasing again. Any one have any suggestions? When I’m told to knit to “the gap” or purl to “the gap” on the increase, is where I get lost. A numeric direction (as in k5, p5, next time k6, p6…) would be helpful. I know it sounds dumb, but is there anyway to figure it out so I can just count instead of looking for “gaps” because I can’t quite get it! I, too, am experiencing the same problem with this heel. 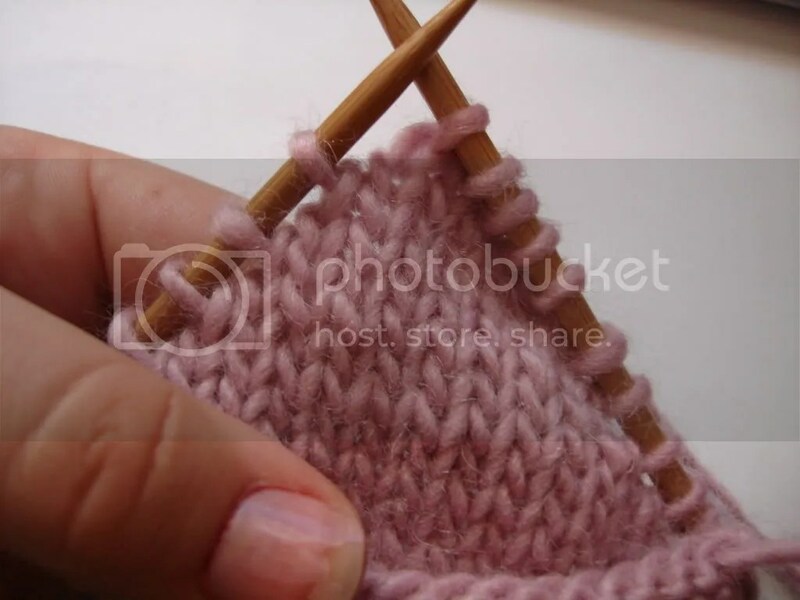 Did you ever find a numeric solition to the knit to and purl to the gap? If so, I would be ever so greatful for any suggestions that you have. The problem may be what the ‘gap’ is. it’s just the space between the previously slipped stitches. look at photo 7 above. the stitches on her left hand needle show the ‘gaps’. you pick up one stitch each time along with the pickup between then, turn, slip the one you just knit and work across. 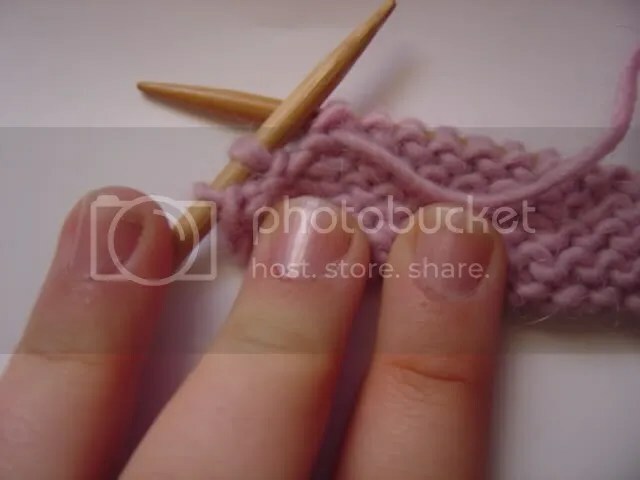 You wont’ have the same number of stitches as somebody with a different gauge but the ‘gaps’ are easy to see and you only knit one each time, You are working a revers of the increasing short rows you did before. Hummm. 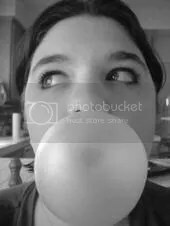 Maybe I ought to make s video! What a wonderful tutorial!! I, like all the coments above have been looking for something I could figure out. I can’t believe this from a 19 year old. You go girl!!! !I wish I had you’re brains. Hi! I *just* finished my first short row heel using this method. Thank you!! I started to have the same problem increasing that a couple of other commenters have mentioned, but then I figured it out — sometimes the “gap” falls in the wrong place or is vague. 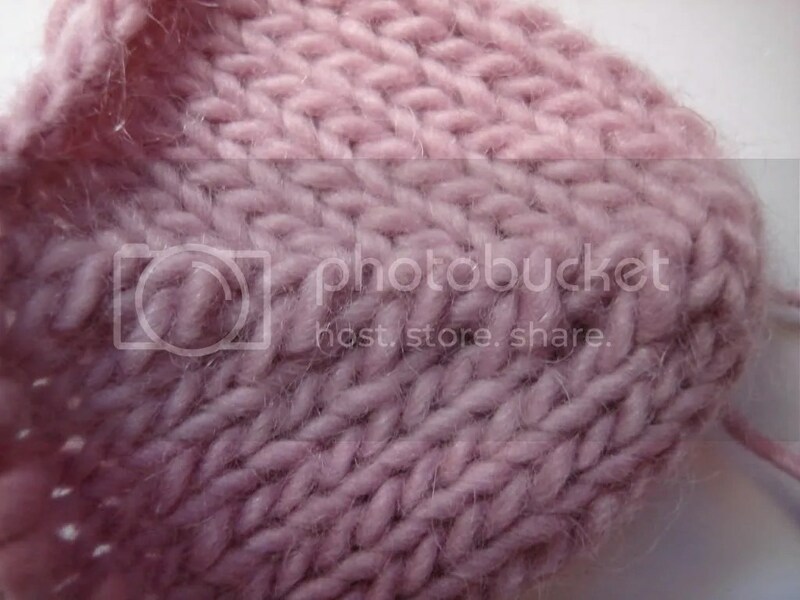 The surefire cue — the last stitch you knit/purl is the stitch with the bar stitched with it (in the row below). Slip the *next* stitch and pick up the next bar. Hope that helps somebody! It sure helped me! Thanks again for this awesome tutorial!!! I would like to give you a great big hug! I have tried so many ways of doing short row heels and this is the easiest I have come across. Tried it out yesterday and the result was fantastic – no holes, no difficult fiddling about, just perfect. Thanks a million! You haved saved yet another knitter from insanity, and ripping out over and over again! Thank you for your tutorial and great photos! I tried the wrap method on my first pair of toe up, and was sure there must be an easier, and less hole-y way! The gap-closing step is like the ‘make 1’ step on the magic cast on for toe ups, which has also worked well for me. I am no longer afraid of toe ups – though I will still be looking for a good stretchy and nice looking bind off. Thanks again! PS – I found the link on ravelry. What do you do with the last stitch during closing the gap on knit and purl sides? there is nothing to “pick up” And also, I cannot split my heels in thirds. and do this method. I have to do 1 less than wanted. The first “Gap closing” is not eliminating a stitch. its tapping into my stitches i wanted in the center. its not till the next round that you eliminate the stitch. so you wind up with a narrower heel than intended. so i want 10 in the center and 10 on the sides, i need to put 9 on the sides in order for this to turn out even. Unless im doing this wrong. but this sure takes away from the “easy” factor. I, too, tried several methods of short row heels. This looked like the best solution. I ripped AGAIN and tried it, but had the problem described above in the increase section. I ripped for the 4th or 5th time, and this time I put a marker each time I turned, so I had a marker between each slipped stitch. Then as I went back and picked up the slipped stitch and the bar, I removed the marker, turned, and continued across the row to the stitch before the marker, etc. It worked beautifully! Thank you! ok what do you do with the purlside gaps? Im doing what she says but they are NOT mirroring each other. LOVE this method but need to figure this out. Thank you so much for this type of heel! I really appreciate it. Is there a video for this anywhere? I am such a dunce when it comes to pics. I saw the video, but still not working. Ugh, such a mess. My first ever sock now has a heel! I had ripped out so many attempts that I was afraid that the heel yarn was going to be worn out before I got to wear the sock. Thanks for the tutorial. 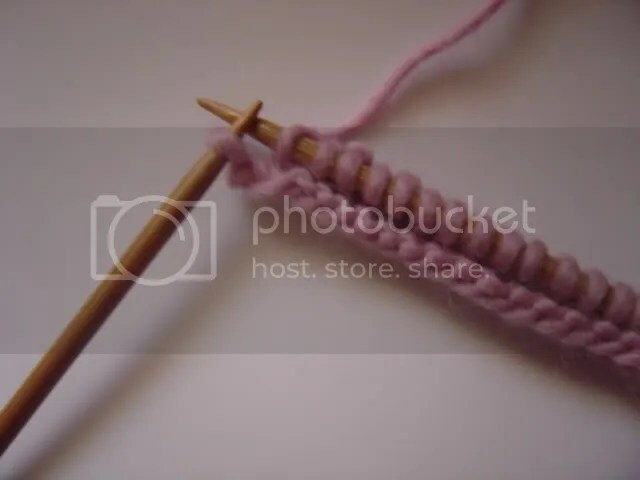 When you say purl or knit the slipped stich and bar together, don’t you mean to slip them both back on the left hand needle first? 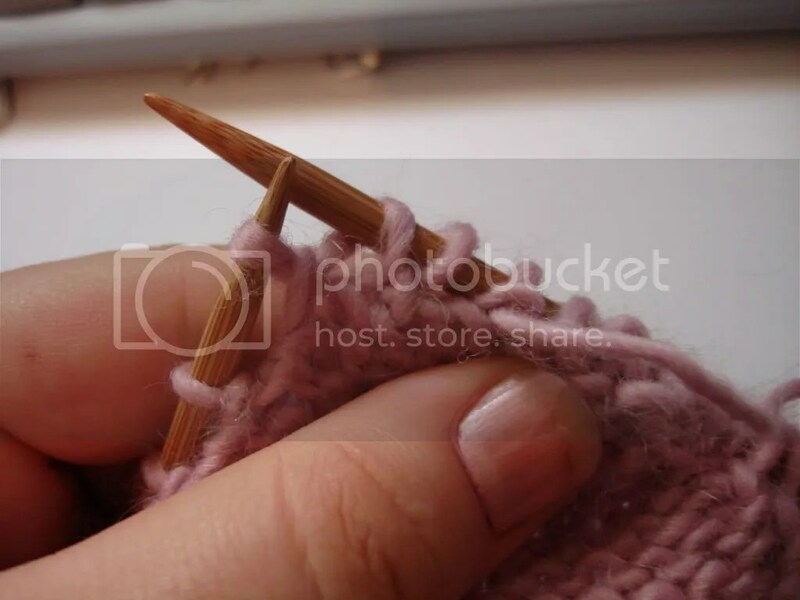 If you knit continental, yes, you’ll need to put them back on the left needle in order to knit them together. I don’t know what to do when I get to the last stitch to pick up, when you slip it, there is no stitch next to it from which to pick up the bar. oh dear! what has happened to the photos? Love this idea! Can’t do a w&t short row heel to save my life…I want to try this now, but one clarification…when slipping stitches, whether knit or purl, how do you slip them? knitwise/purlwise or? Thank you for sharing your tech. It’s the clearest I’ve seen so far and your photos are beautiful. Thanks again, O-by-the-way, its hot as hell here in Florida, but I love knitting wool socks anyway! Thank you AGAIN. I’m finishing the second sock for my great-neice and I still can’t understand the pattern in the book I have. Your pictures and words help my finish my short the heels and finally the socks – each time!! After I see your example I then understand the pattern! Thank you so much – again and again – probably forever – THANK YOU!! 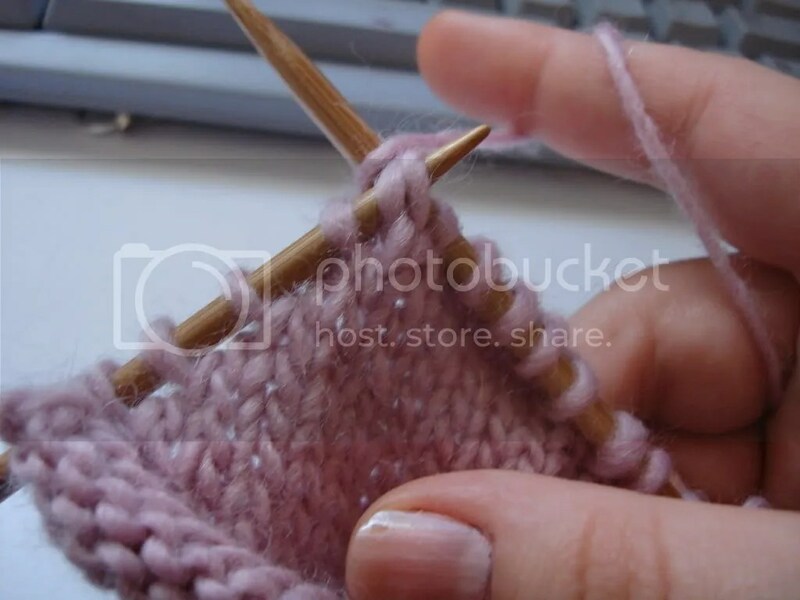 I can’t figure out how you knit the slipped stitch and made stitch from the *right* hand needle! I’ve never done this in my life. I wondered if you, like Priscilla Wild in her directions, mistook right for left? (I only got her heel to work after I ignored her left and right directions) I can’t get your video to work — and I’m sure that would clear things up. hey! my heel came up a little narrow, but working with it. 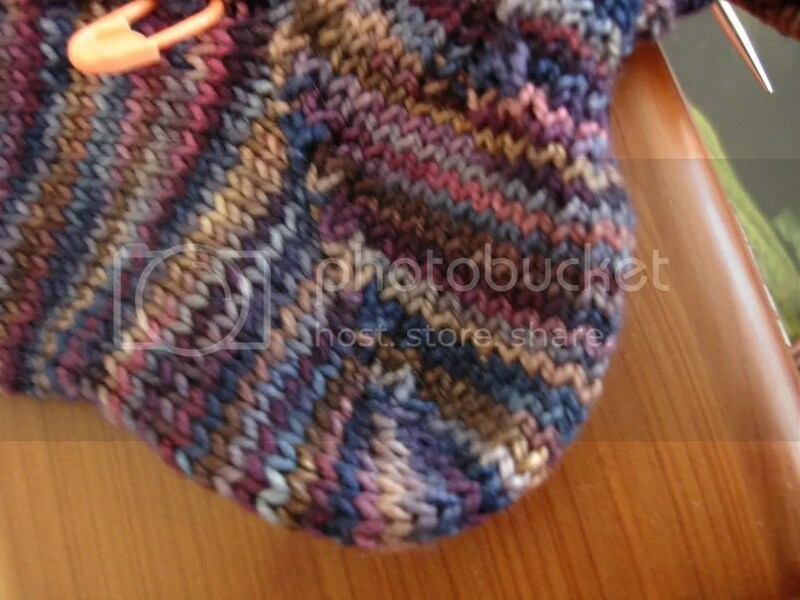 I knit socks on the subway and then find the foot that fits the sock…Great site! Wow, Thank you so much! I knit LOADS of socks so I like to do new techniques. 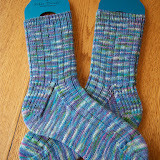 I knit just regular stockinette socks for my family so I would like to try some new methods for heels. Thanks! Great tutorial! Thank you so much for putting it out there. The pictures and explanations really helped. I’ve been trying to learn this from books so that i can make my diest pair if socks but I just couldn’t get it until now. Thank you again! By the way, beautiful variegated yarn on the finished sock. Where did you get it? Best wishes! I am working on my first pair of socks. When you Knit the bar and stitch together, are you KBL and same with purling PBL? It looks that way and makes sense…to tighten up the stitch. This is the easiest method I have seen! Can’t wait to try it! Reblogged this on Rahymah Handworks. Thanks so much for this tutorial! I’ve so been wanting an easy way to do short-row heels without the bother of doing those weird yarn-overs! HI< Can I put a link from my blog on this to yours plz? Thank you, thank you! I usually knit heel flaps, but want a short-row heel on the pair I currently have on the needles. Great explanation and method! I am your first comment for 2013. Yes people are still struggling with short rows and I teach knitting!! Thanks for this it looks good and I plan to try it today! I wish to gain bodyweight!! I am 31 but nonetheless my weight is 90lbs. I’ll do these ideas.I hope I will gain bodyweight quickly. I am so frustrated. I am doing exactly what it says to do here and am still ending up with huge holes. I have tried YouTube videos, followed picture tutorials, and nothing is working. 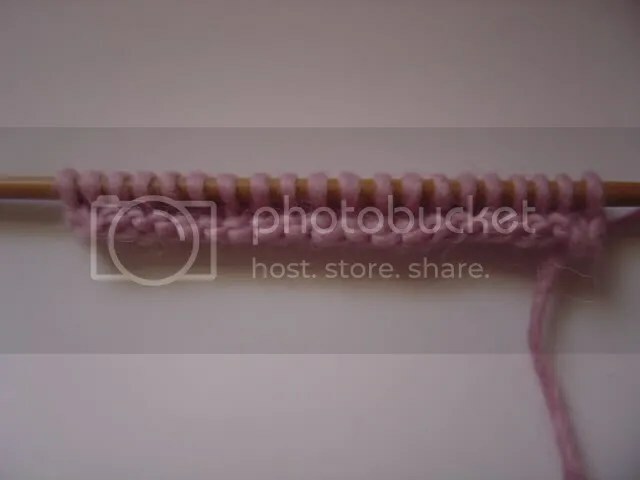 I have tried wrapping the stitches and picking up the wrap from behind, knitting the knit sides from behind the stitch, I’ve tried not wrapping and picking up the bar in between… It all looks horrible. I feel so discouraged. I have no idea what I am doing wrong and I’m about to cry, since I’ve now frogged my entire heel for the third time. what do your holes look like? Im not sure how to help , but if you can stick a pic somewhere and post the link. Marisa– I’m on my 8th frogging, so I understand your frustration. Please tell me why my short row heel does not look the same on both sides, what can I be doing wrong? 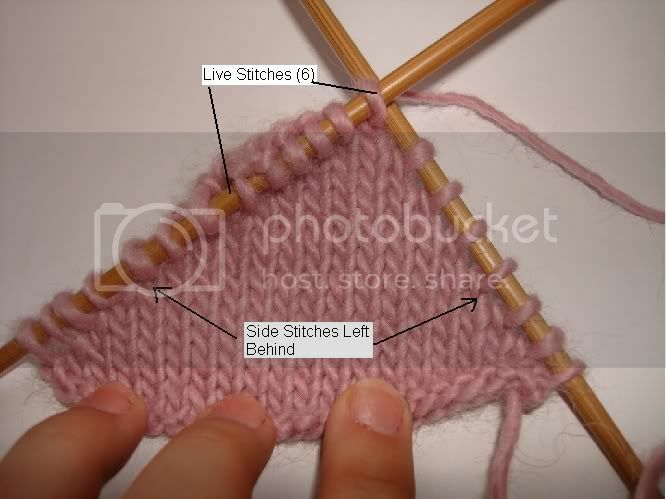 this is great…i am visully impaired sl have a difficult time picking up sts on the traditional heel flap…..knitting caps, mitts and booties is something thagt i can still do to pass the time….this was very easy to understand…. Thank you so much for posting this information and the musical flashback! I would love to see your video. The links say it has been removed. Is it posted somewhere else? It seems to be working for me, give it the good old F5 and you should be good. This is a common method – it’s just that most people know it as the japanese short row and use pins to mark the part to lift. Yep, that’s what’s nifty about this style heel, you can do it withbig and small socks. 26 Stitch’s should work, just keep going back and forth. My sock is 56 stitches total. Can I use this technique with 28 stitches for my heel and if so, how many live stitches that I need. Thank you!! Just to be clear, after knitting heel flap, I knit the short-row heel in place of turning heel and picking up stitches (my usual pattern:) Is that correct? I’ve never knit a short-row heel, but excited to try! is there a visual of top down socks with the easiest way to do a short row heel? Are there any tutorials for the no wrap no gap heels? Thank you for this tutorial. I have never knit a short row heel. 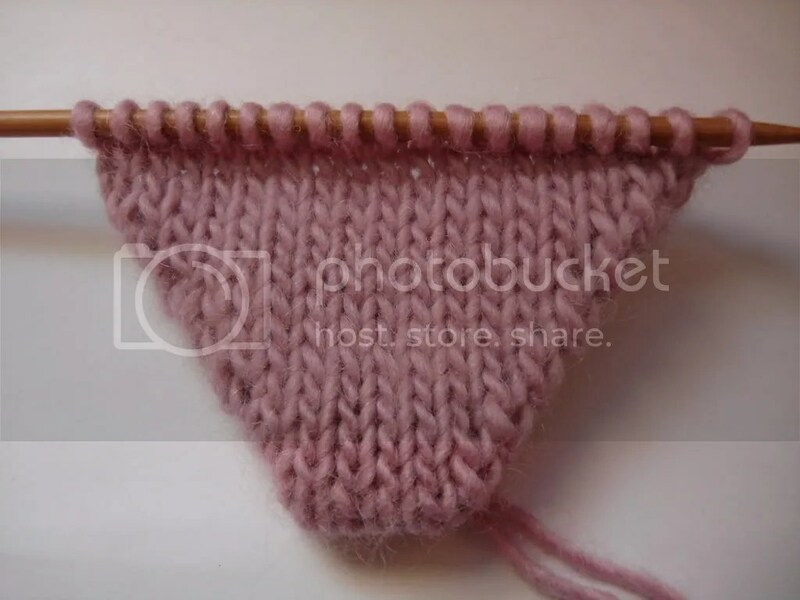 When knitting this type of heel, do I NOT need to knit a heel flap first? 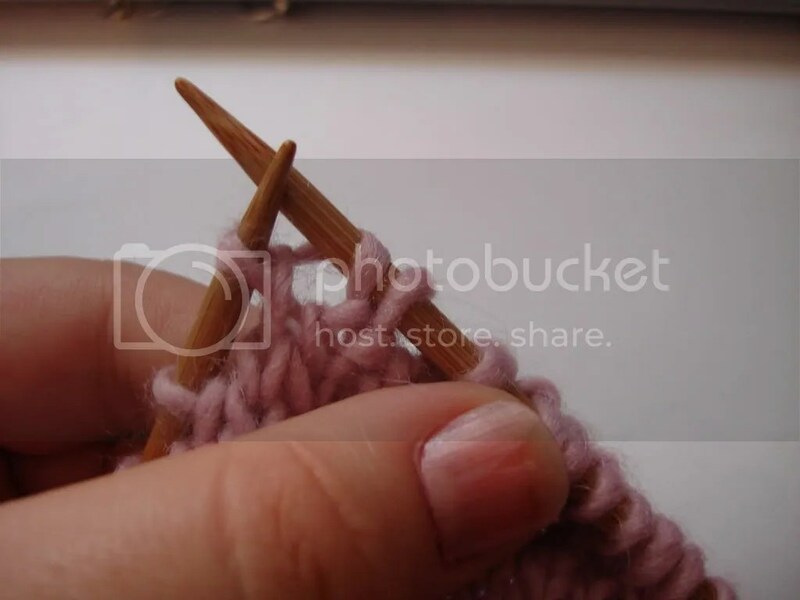 In the picture, it looks as though the heel is formed immediately after knitting the leg portion of the sock, and the foot is knit right after the short row heel. Count Your Socks 12 pair!!! A new start, a new outlook on Blogging. The first thing I ever made.